Gather around children, it’s story time. Once upon time, Whitney and I went to Comic Con together. It was magical week of nerds and sleeping in lines. One night, we slept outside to get into a magical land called Ballroom 20. Chuck was having a panel for its last season, so Zachary Levi took it upon himself to walk the line and say hi to everyone. At the time, neither of us watched Chuck, but we are still functioning females who can recognize his patented blend of approachable, adorable, nerdy charm. When he got to us, Whitney told him that he was awesome, he high fived her and told her that she’s the bee’s knees (which she is, by the way). She…did not handle it well. Granted, it was something like 3 in the morning, but she fell back giggling so hard that she whacked her head on the sidewalk. For some reason, we got a good laugh out of that, so Zachary Levi has long held a special place in our hearts. His crushiness was further solidified by attending some of his Nerd HQ events at Comic Con where he is just all kinds of charming and handsome. That said, it was only until this week that I watched any of Chuck, but I made up for it by watching it hard. Guys, if you are at all like me and devour a show with a good ship then have I got a show for you. I have gotten through almost all five seasons in six days. What is summer for if not binge watching? Needless to say, my crush is now full blown. I mean, how could it not be? Sure, I have a hard time buying this handsome devil as the repugnant nerd that they sometimes make him out to be, but his journey from bumbling geek to confident but still nerdy super spy is … super hot. We here at Fangirly will always support a hottie with legit geek cred. 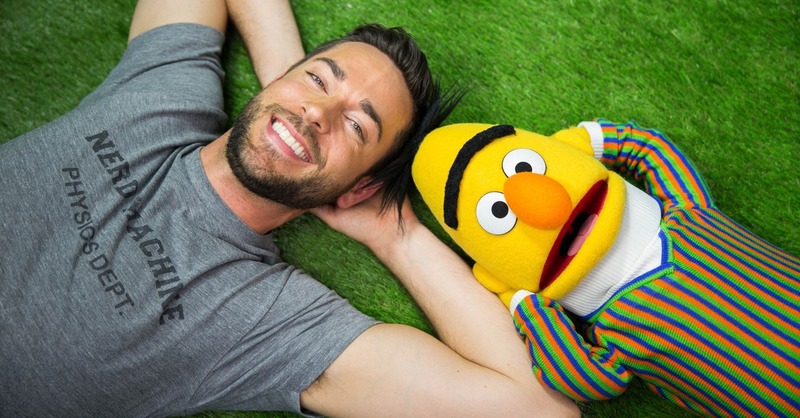 Zachary Levi, we salute you. Scha-wing.